24 delicious homemade Zoku popsicle recipes to snack on all summer long. Some are healthy and good for you, and some are purely a treat for your sweet tooth. My family loves our Zoku Quick Pop Maker and we use it almost every single day. We have tons of fun coming up with all kinds of tasty flavor combinations and we are so happy to be able to share our recipes with you! My teenage children love popsicles and ice cream (who doesn't), but as a mom, I don't love that store bought treats are full of questionable and unpronounceable crap, not to mention they cost a fortune. Instead, we like to make our own frozen treats using whole ingredients such as milk, nut milks, yogurt, pure fruit juices and purees, chunks of fruit. chia and hemp seeds, nuts, oatmeal and coconut oil. Sometimes things get a little crazy and we add fun stir-ins like crumbled cookies, marshmallows, candy and chocolate. If you have picky kids, popsicles are a wonderfully sneaky way to get extra fruits, veggies and what not into their diet. Snacking on healthy homemade popsicles is a great way for busy families and kids on-the-go to ensure they are getting all the vitamins and minerals they need in a day. You can even eat them for breakfast! If you would like to learn a little more about the Zoku Quick Pop Maker, you can read my review here. Copyright Corrinna Johnson, All Rights Reserved. The text and photos (Amazon images excluded) in this article are the property of myself, Corrinna Johnson. No part of this document may be reproduced without written consent from the author. Originally published June 29, 2013. Place all the ingredients into a blender and purÃ©e. Add a few fresh berries to popsicle molds. 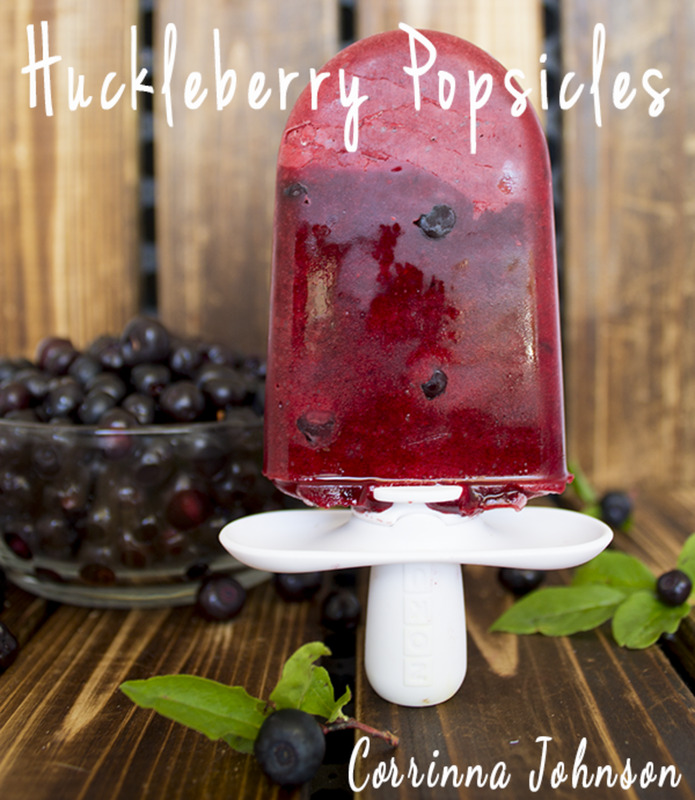 Pour the purÃ©ed huckleberry mixture into the popsicle molds and freeze. Dragon fruit contains a lot of water, which makes it very easy to mash by hand using a fork or potato masher. 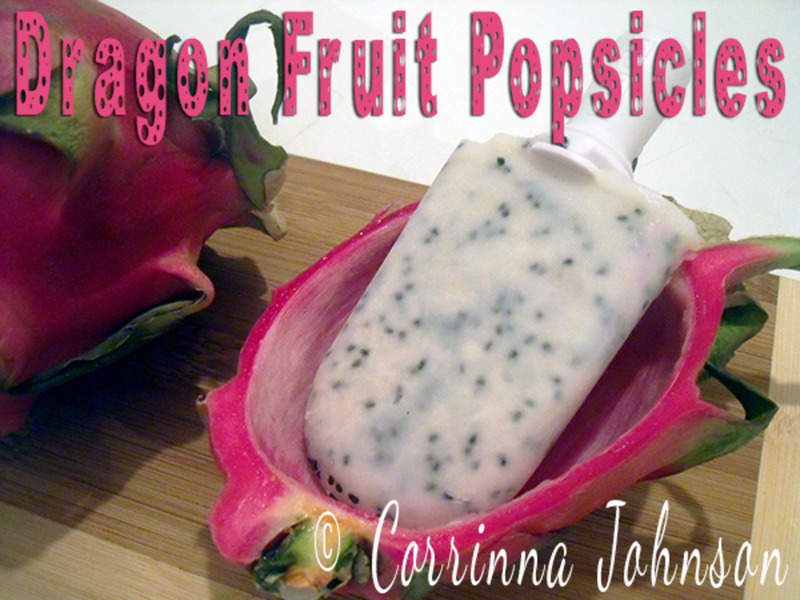 The seeds remain whole and look so pretty sprinkled inside the popsicle! Mix the mashed dragon fruit, milk, cream, honey and vanilla together and pour into the mold. Allow to freeze for 7-9 minutes. I use fresh pineapple because it tastes way better than the canned fruit you get in the grocery store and I use my Magic Bullet to whip these popsicles together. Use milk instead of water if you would like a little creaminess. Personally, I just like pure pineapple pops. I don't add any sugar to these and my kids say they are a little tart, but that doesn't stop them from eating them though! Add a little sweetener if you prefer. Puree the pineapple and water together and pour into the popsicle molds. Thats all there is to it...couldn't be simpler than that! Add the peaches, water, agave nectar and lemon juice to a blender and puree 30 to 45 seconds, or until the mixture is smooth. I used my Magic Bullet to puree the fruits, which is perfect for small jobs like this. Combine the fruit purees, water and sugar and stir until dissolved. Pour into the mold and allow to freeze for 7-9 minutes. Turn these into super healthy and re-hydrating Electrolyte Lemonade Pops by adding a pinch of sea salt to the mixture and replacing all or 1/2 the water with pure orange juice, depending on how sweet you want it. Eliminate the sugar and add a squirt of honey if you need a little extra sweetness. 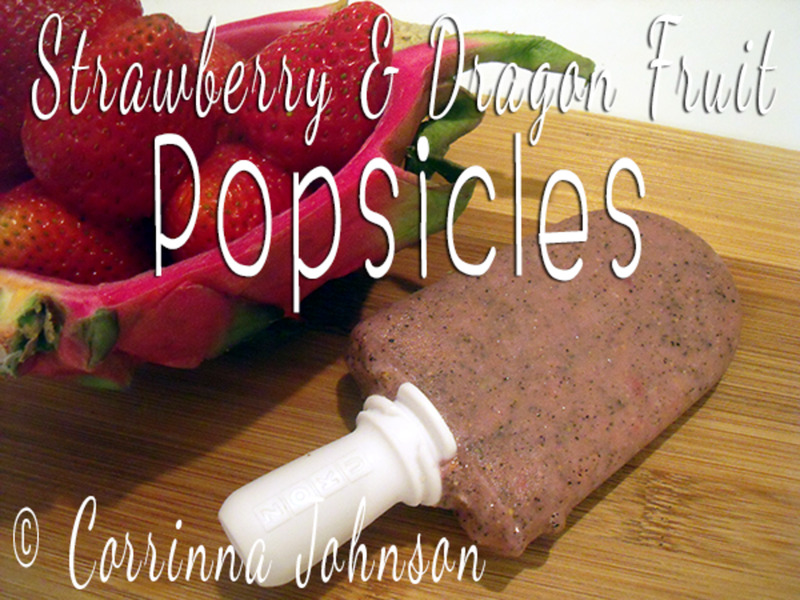 They are much tastier and healthier than store-bought electrolyte popsicles or drinks. Mix lemon juice, water and sugar together until the sugar is completely dissolved. Place a couple of fresh lemon slices on the walls of the pop maker and pour the prepared lemonade mixture into the molds. Allow to freeze for 7-9 minutes. The M & M's are a little to heavy to stick to the pop right after dipping. Instead, I added a dollop of chocolate to one side of the candies and stuck them on one by one by hand onto the hardened shell. 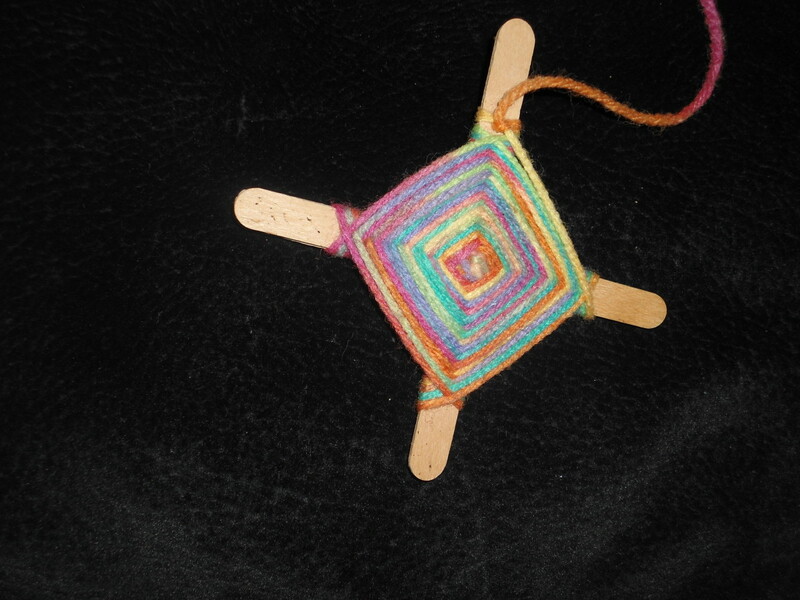 A little extra work, but oh so cute and colorful! Mix the milk, cream, sugar and vanilla together until the sugar is dissolved. 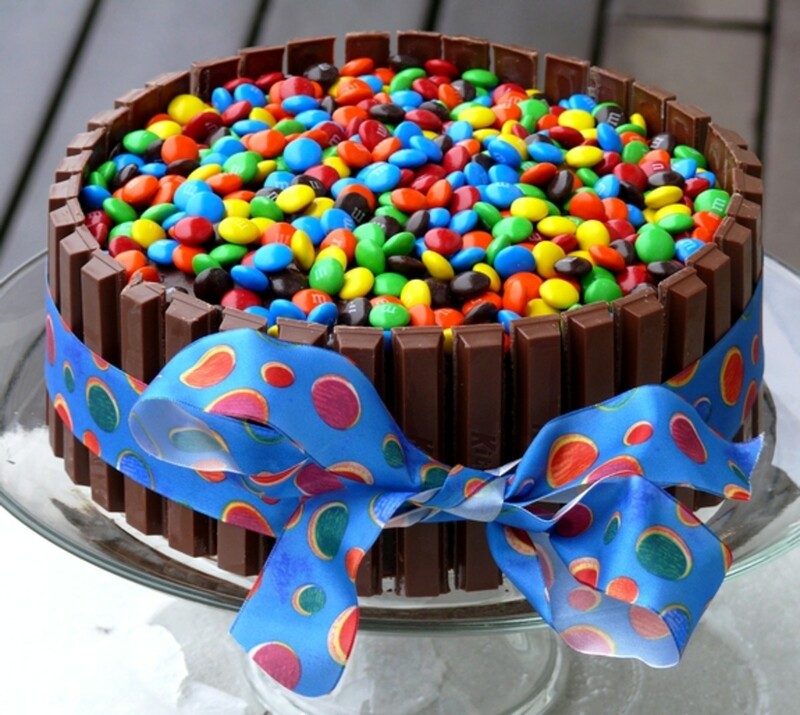 Pour the vanilla mixture into the molds, dropping M & M chocolate candies in as you are pouring. Let the popsicles freeze for 7-9 minutes. In the meantime, whip up a batch of Hard Shell Chocolate Sauce (recipe below) to coat the popsicles when they are set. 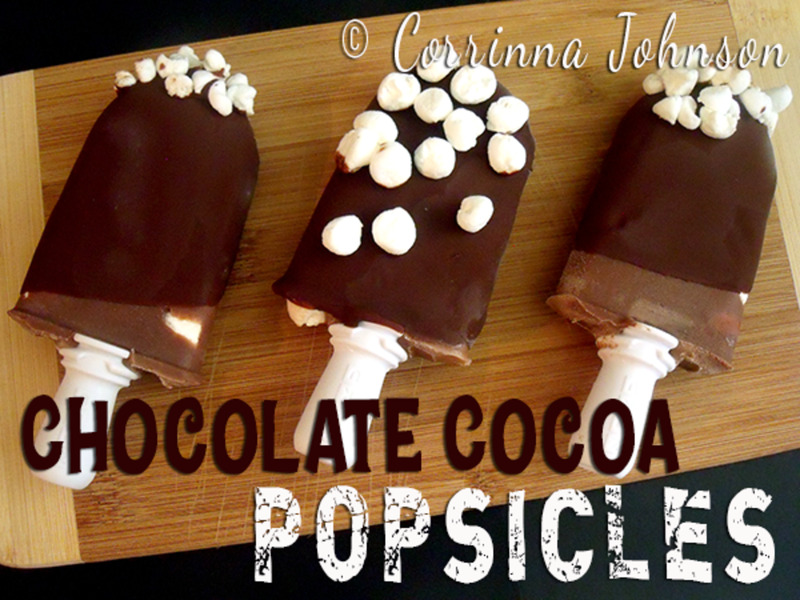 Remove the popsicles from the frozen pop maker and dip into the melted chocolate. I remember setting up a Kool-Aid stand one summer with my best friend when we were little, serving pint-sized cups of overly sweet juice to our neighbors. 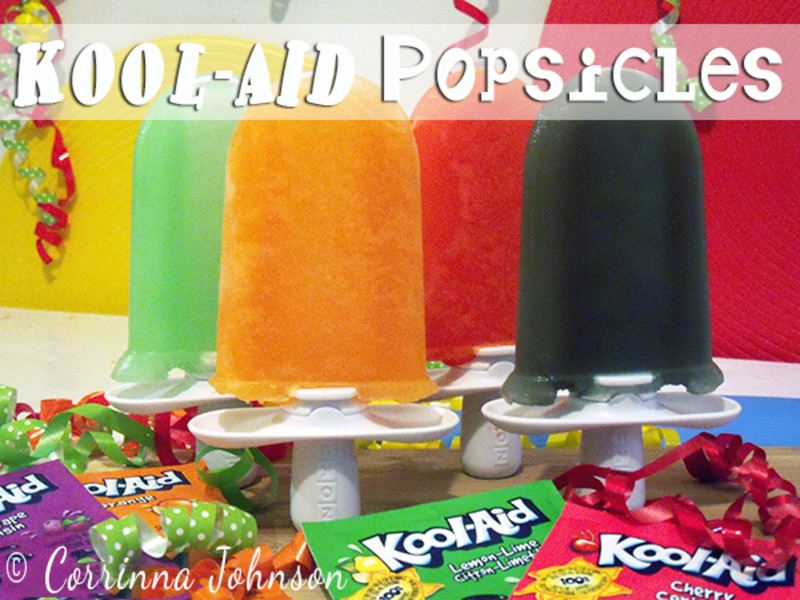 I decided to take a trip down memory lane and make Kool-Aid popsicles to share with my children. Most Kool-Aid popsicle recipes call for gelatin, but I don't use it, so I omitted it. These are just a simple kool-aid juice ice pop. If you are using the Zoku popsicle maker, it is recommended that you do not use sugar-free Kool-Aid. Mix the Kool-Aid with water and sugar according to the package instructions. Pour the juice into the popsicle mold and allow to freeze. Mix the milk, cream, sugar, peppermint flavoring and green food coloring in a measuring cup, stirring until the sugar is dissolved. Chop up the peppermint patty chocolate bars into small pieces. Pour the mixture into the mold, dropping in bits of the chopped peppermint patty as you go. While they are freezing, prepare a batch of Hard Shell Chocolate Sauce and pour into a glass measuring cup or the Zoku Chocolate Station (recipe below). Remove the frozen pops from the mold and dip into the melted chocolate sauce. Combine chocolate milk, cream and chocolate syrup together and stir. Pour the mixture into the mold, dropping mini marshmallows in as you go. Allow to freeze for 7-9 minutes. While you are waiting, make a batch of Hard Shell Chocolate Sauce (recipe below) and pour into the Zoku Chocolate Station, glass measuring cup or wide mouth jar. Cut up 1/4 cup of mini marshmallows into tiny pieces for garnishing the pops. Remove the frozen pops from the mold and dip into the chocolate sauce and then quickly garnish with the cut marshmallows. 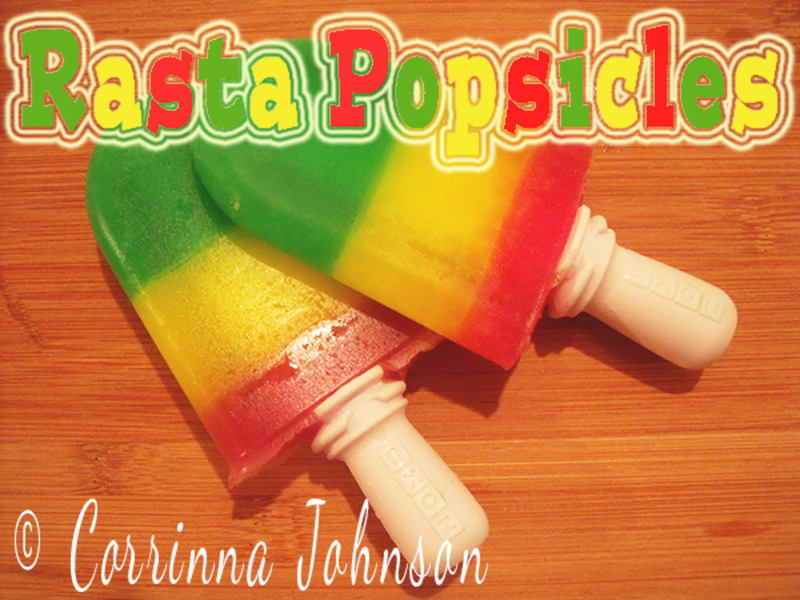 My teen son and his friends came up with the idea of making these cool Rasta Colored Popsicles. They used the lemonade recipe above, divided it into three measuring cups, and added red, yellow and green food coloring to make rasta colors. 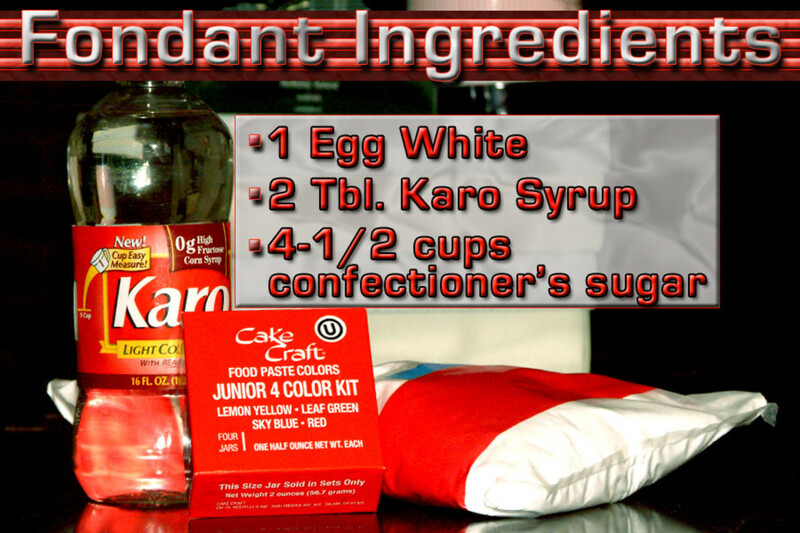 Divide the lemonade mixture into three cups and add a drop of red, yellow and green food coloring, one color per cup. Pour the green mixture in the mold until it is 1/3 full. Allow to set for 3-4 minutes. Add the yellow mixture and then the red, allowing each layer to set in between pours. Layered popsicles take a little longer to make because you need to allow time for each layer to set before adding the next. 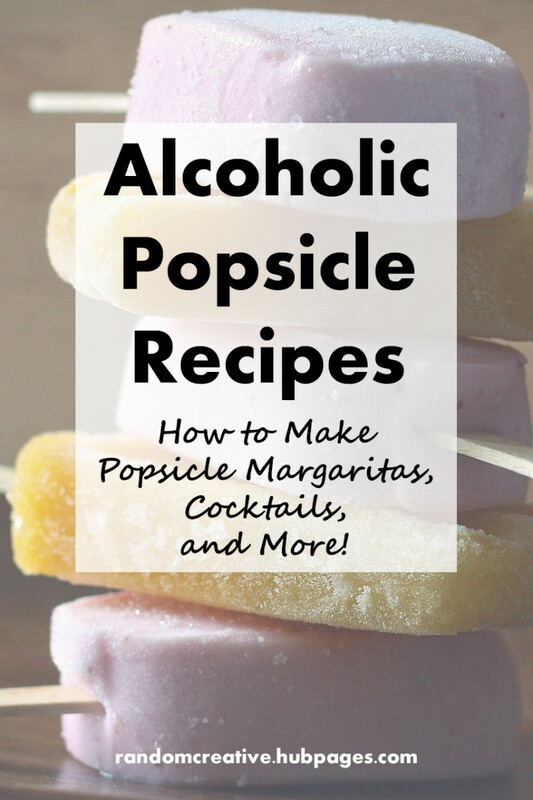 A three layer popsicle will take about 12 to 15 minutes to make. Looking for guilt-free healthy snacks to help beat the heat the summer? Munch on these 100% real fruit Blackberry Mango Popsicles made with fresh blackberries, mangoes and a dribble of honey. 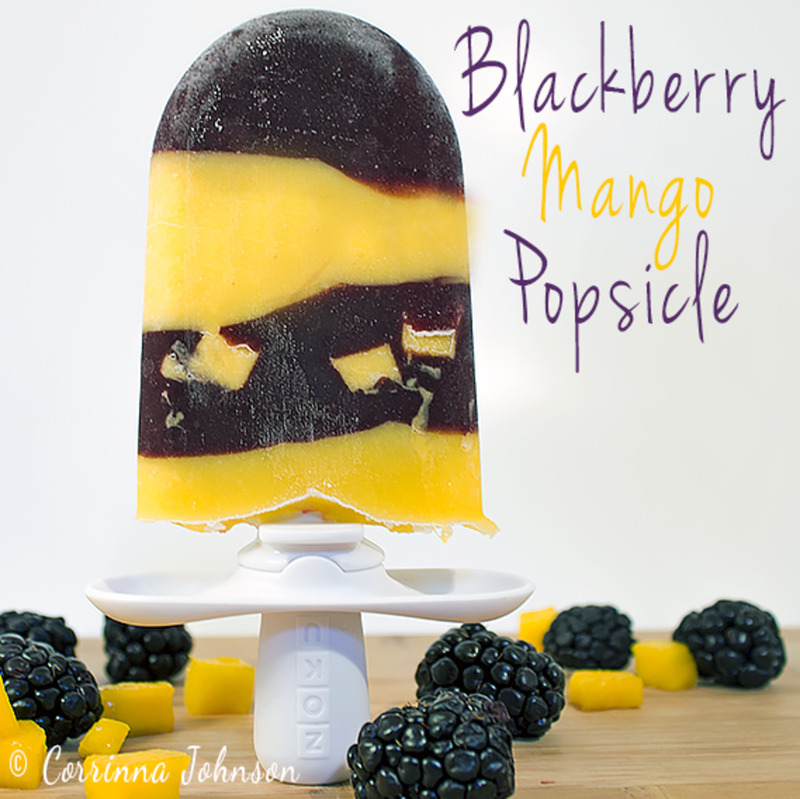 Get the recipe for these fruity Blackberry Mango Popsicles here! This chocolate sauce will harden instantly and you will have a crunchy chocolate shell on your popsicle just like the ones from old-fashioned ice creameries. 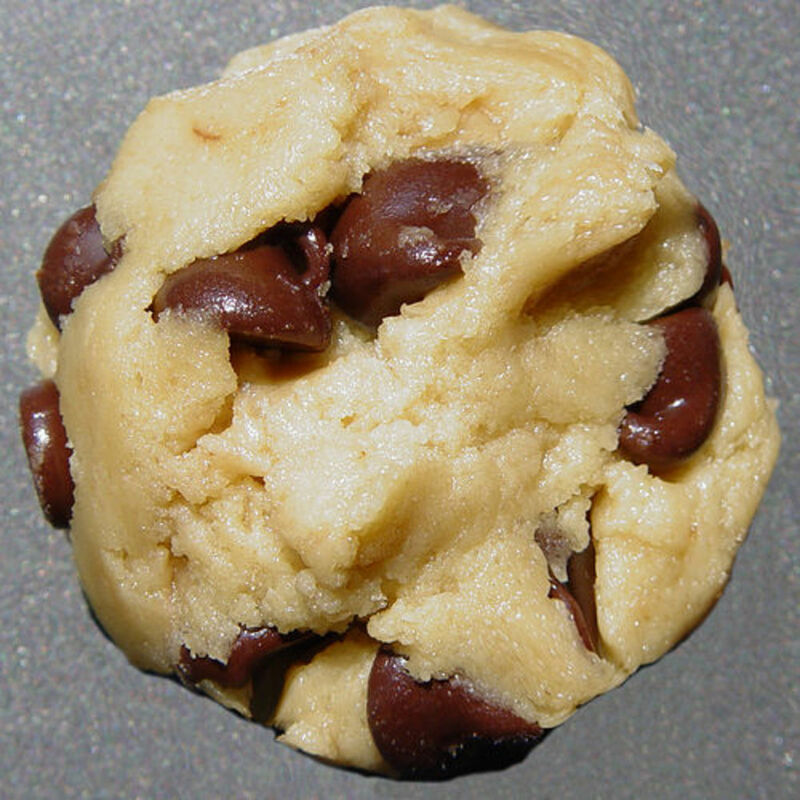 Pour the chocolate chips and coconut oil into a small glass dish and microwave on high for 30 seconds. Remove from microwave and stir. If it is not quite melted, microwave it for another 10 seconds at a time. You want the chocolate to be just barely warm...you don't want the chocolate to get too hot or it won't stick to the popsicle. Pour the melted chocolate into the Zoku Chocolate Station or a wide mouth jar. Dip your popsicles into the melted chocolate and garnish immediately with small candies, nuts and dried fruit. Equipment We Used To Make These Homemade Zoku Popsicles! We made all of these popsicles in our Zoku Quick Pop Maker, but these recipes can be adapted to use with slow freeze popsicle molds, allowing for an extra 4 to 6 hours of freezing time. It takes only 7 to 9 minutes to freeze homemade popsicles using a Zoku Quick Pop Maker. Now, that's fast! You can be enjoying a fruity parfait popsicle for breakfast or treating yourself to an after dinner iced coffee popsicle in just 10 minutes. The flavor possibilities are endless! The Zoku is great for busy families and kids on-the-go and is perfect for whipping up a fast and yummy frozen dessert when guests drop in unexpectedly. We dipped some of the popsicles we made in melted chocolate using the Zoku Chocolate Station. Just pour the melted chocolate into the well and dip the popsicles for a crunchy hard shell in just seconds. It also comes with two trays for filling with chopped nuts and candies for dipping after the chocolate coating. If you are going tp purchase a Zoku, I highly recommend you get the Zoku Quick Pop Tools too! The kit comes with three measuring cups, an angle tray for making geometric layers, a fruit wand for adding fruit and add-ins to the walls of the pop maker, a syphon for making filled creamsicles and a couple of shape cutters. Check Out The Zoku Quick Pop Recipe Book For More Yummy Recipes And Inspiration! The Zoku Products And Accessories I Own And Love! I ordered the Zoku Duo Quick Pop Maker which is just the perfect size for my little family of three. The ice pop mold requires no electricity...just store it in the freezer so it is always ready to make popsicles anytime you want one. And they only take 7-9 minutes for your favorite popsicle filling to freeze solid for your enjoyment. The unit makes 4 ice pops before it begins to thaw and has to be placed back in the freezer. Everything tastes better with chocolate, so of course, I was not going to pass up the opportunity to purchase this handy little Zoku Chocolate Station to go with the popsicle maker. The plastic container comes with a deep cavity to fill with your favorite magic shell topping for a perfectly hand-dipped popsicle. The bottom of the station contains two removable trays for holding sprinkles, nuts or little candies to coat your popsicles with right after you dip them in the chocolate. It also comes with a tiny ladle for drizzling melted chocolate by hand across the ice pops and making fun zig zag and squiggle designs. The only con I have about the chocolate station is that it is not microwave safe. We don't use an entire batch of magic shell at a time and it would be so much easier to be able to store the chocolate in the unit until the next time (which is usually not very long, a day at the most). I bought the basic Zoku Quick Pop Tools accessory kit because I wanted to be able to learn and use the product to it's full capability. Included in the box are 3 drip-free measuring cups, a heart and star stencil for cutting out shapes, a fruit wand for attaching the cut-outs, a siphon for making filled ice pops and an angle tray for creating zig zag patterns. Using the labeled measuring cups, each holding three servings, makes dividing a recipe in half or measuring out individual servings of liquid very easy. Let your creativity and imagination flow when using the mini shape cutters, fruit wand, syphon and angle tool to create unlimited designs and flavor combinations. We need more sticks! Lots and lots more sticks! I would love to be able to make a batch of homemade popsicles ahead of time to feed a larger crowd at one of our family summer bbq's. If I buy more sticks, I am naturally going to need a Zoku Storage Case (or two) to store the extra ice pops safely and out of the way in my overcrowded freezer. I love making creative food art for my kids and I really, really want the Zoku Character Kit. You can make all kinds of fun animal and character face designs in your popsicles. My tween daughter and teen son would go crazy over this Zoku Social Media Kit which includes letters, numbers and symbols for creating fun text messages and popular chat acronyms. 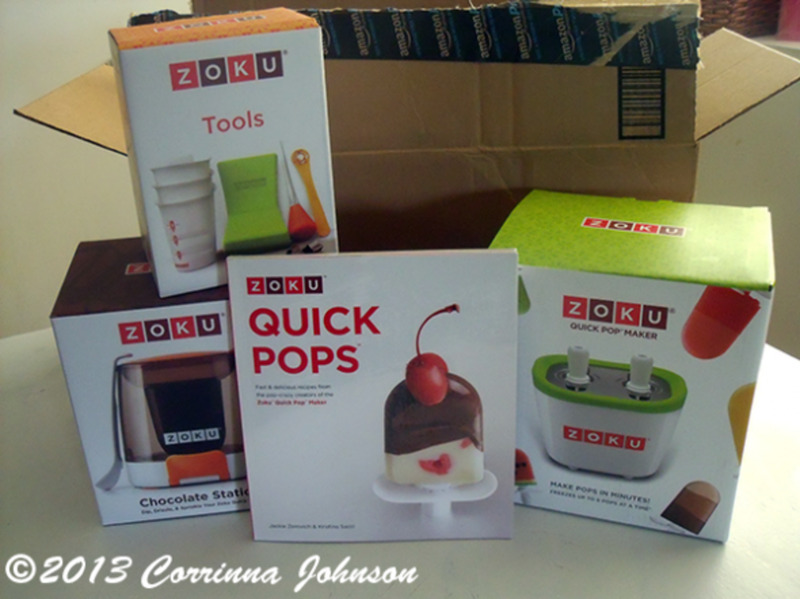 My Zoku Quick Pop Maker Arrived In The Mail From Amazon Â© 2013 Corrinna Johnson, All Rights Reserved. I have 100% control over the ingredients. My children and I all have different food allergies and intolerances, requiring individualized meals and snacks for everyone, which can make cooking a tad frustrating, time-consuming and down-right exhausting. I like how we can each have our own customized popsicle, without any extra effort or time. Are your kids fussy eaters? My son is suuuper picky, dislikes the textures of most foods and overall, turns his nose up at just about everything I try to feed him unless it is blended into a smoothie. Now, I can turn his favorite smoothies into healthy ice pops, using only the best good-for-you ingredients, while even occasionally sneaking a veggie or two in them. I can control the sugar and there are no artificial or added ingredients. It is so super fast and easy to make homemade popsicles, that even the kids don't mind helping or doing it all by themselves. 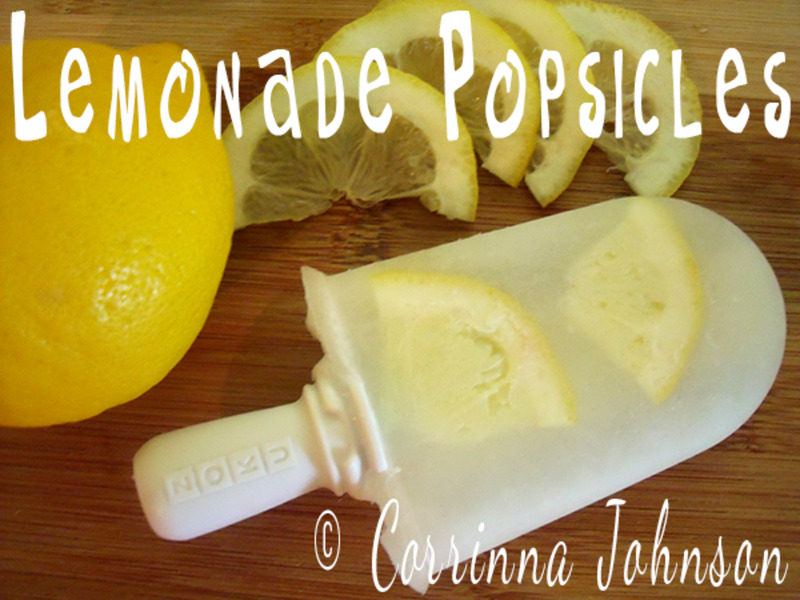 You can cool off on a hot summer day be making an ice cold popsicle from start to finish in only 7 minutes. There is no need to wait hours and hours for your popsicles to freeze anymore. And best of all, you can sit in the shade and enjoy a refreshing glass of iced tea while the kids entertain themselves, watching the pops freeze right before their eyes. There is virtually no mess to clean-up, with the ice pop maker being very easy to wash. You can use the ice pop maker for a number of times before you will need to clean it. Most juice popsicles leave no residue behind, but if you are using a creamy, high fat ingredient, such as whipping cream, cream cheese or yogurt, you may need to wash it more frequently if they leave behind a sticky film. To clean, just thaw the unit on the counter and then wash by hand. Do not place it in the dishwasher! Allow it to dry upside down to avoid leaving behind any water droplets. Place back in the freezer and wait at least 24 hours until the unit is completely refrozen before using again. Making your own homemade popsicles is budget-friendly and inexpensive, depending on the ingredients you choose to use, of course. A box a sugary frozen popsicles or ice cream treats from the grocery store averages between $7-$10, which can cost you a fair chunk of change over the summer, especially if you are handing them out to all the neighborhood kids as well. And some boxes of frozen treats only contain 4 bars! To get the best value on your ingredients, choose fruits and vegetables that are in season, buy your chocolate, coconut oil, nuts and candies in family or bulk sizes and watch the flyers for sales on 100% fruit juices and dairy products. I have acquired the status of Coolest Mom Ever by my 12 and 16 year old kids and their friends. Thus far, we are the only family of their friends to own a Zoku Quick Pop Maker, which makes my own children feel like the coolest kids on the block to be the first to own such a fun gadget! These Zoku Single Quick Pop Makers are great little kitchen gadgets for couples, single people, teens and college kids! You can make up to three popsicles in the personal size Zoku before you need to refreeze the unit. 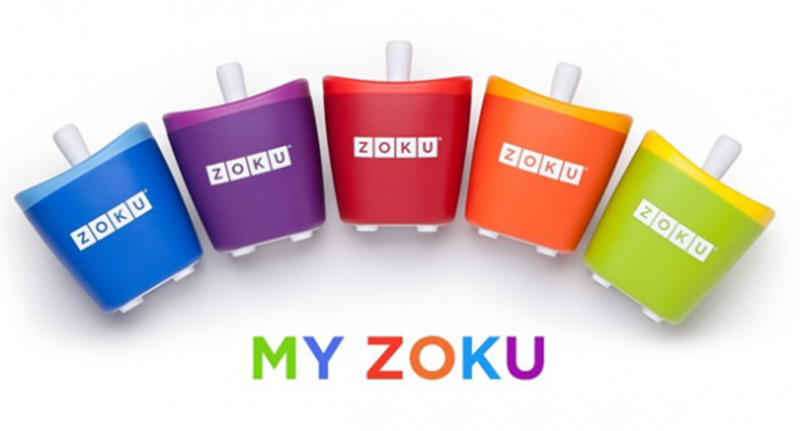 The box includes one Zoku Single Quick Pop Maker, three sticks and three drip guards. They are available in five bright colors to mix and match with your friends and family; red, orange, green, blue and purple. You can even take these camping with you yoo! Do You Own A Zoku Quick Pop Maker Or Would You Ever Consider Purchasing One? Thanks @Margaret! I hope you are enjoying your Zoku :) I think the simplest of recipes taste the best. 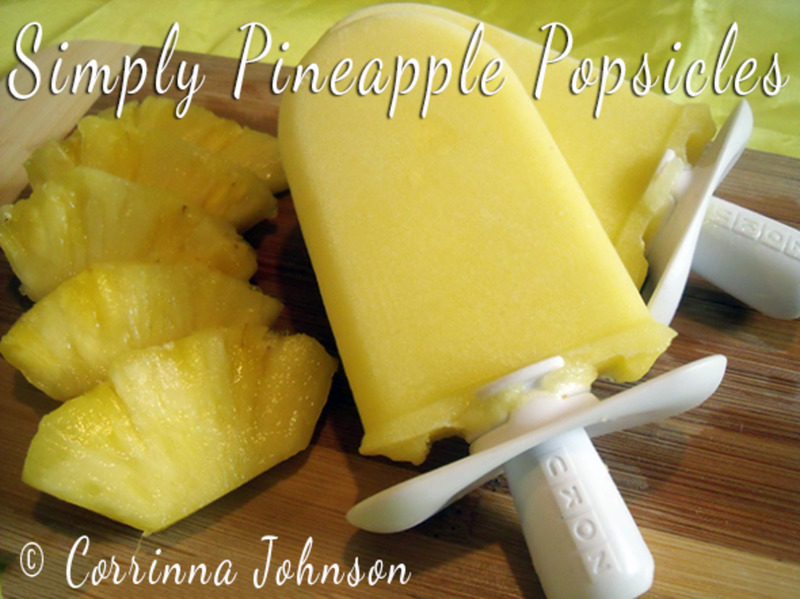 My most popular recipe is the pineapple popsicles which can be made in slow freeze molds too! Corrinna, recently I bought a Zoku slow pop maker that makes small round ice pops and I have been wanting to give it a try. 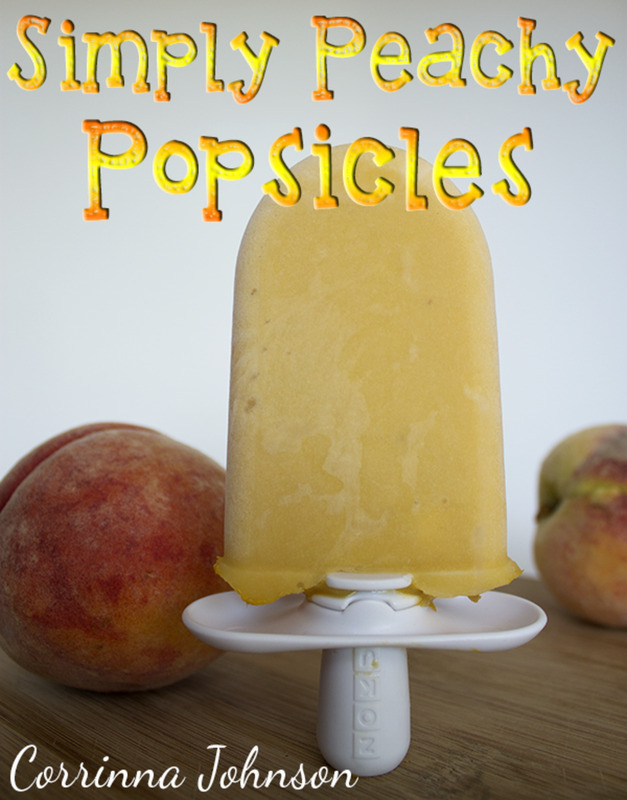 I can't do the layered pop recipes, but I'm definitely looking forward to making some of the simpler, healthier fruit pop recipes like the pineapple and peach ones. 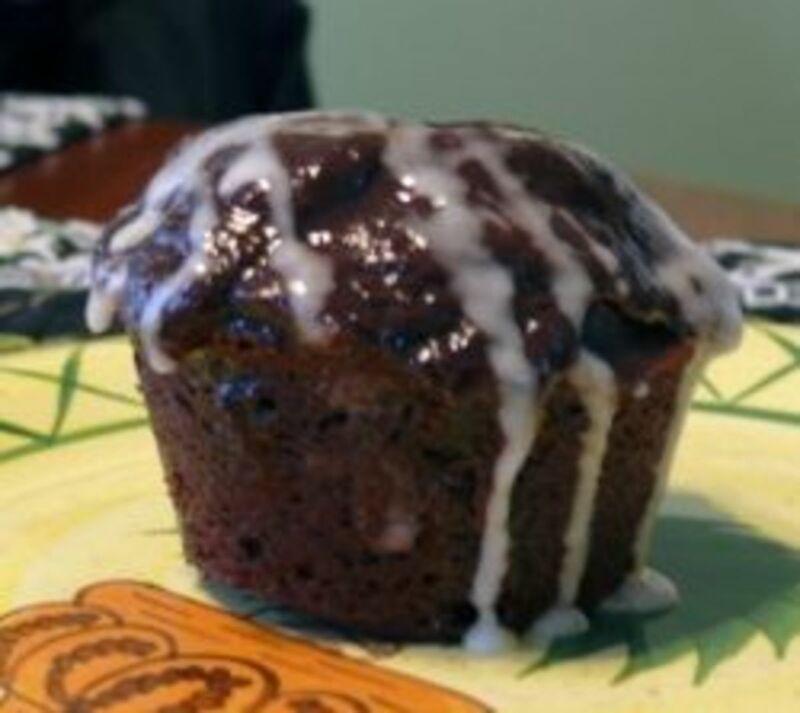 Thanks so much for sharing your delicious and beautiful recipes and mouthwatering photos! No I don't have one of these, but could use it. Thanks for all the recipes. So refreshing. You've got some delicious combinations here. Makes want to buy a Popsicle maker. Marvelous lens! I shared it on our G+ page today. I just might! They all look delicious. I've never heard of Zoku Quick Pop Maker, but I want one now. 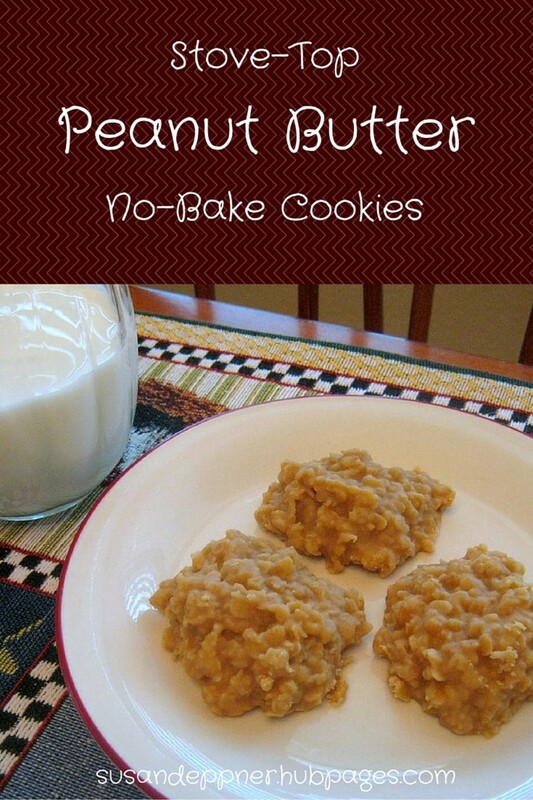 I wish I had kids again, I would be making these all summer, shoot I'd have the ingredients pre mixed and they could make them. Instant popsicles, ok, a few minutes wait. I had to pin this, these all look so wonderful. I had never heard of a Zoku Quick Pop Maker, but it is definitely going on my wishlist! Oh wow this gadget looks amazing and I'm a sucker for chocolate ice cream. Now I want one, especially with the summer so hot in our parts of the world! 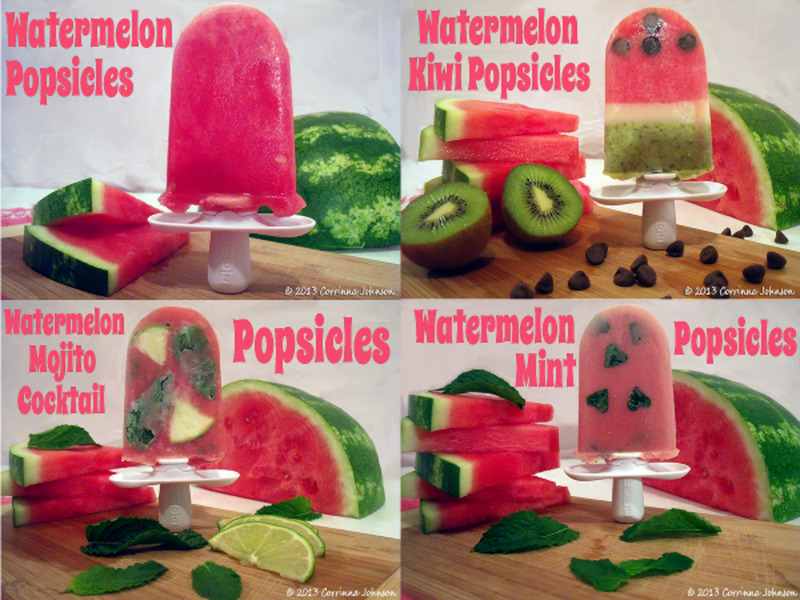 Your popsicles look mouthwatering, some great ideas here and a fantastic lens. i don't know.. is there a reason why I should pay extra for this? Wow this is a great lens with awesome recipes. Perfect for summer! Now I want one! This has been a refreshing experience. What a nice lens. They look yummy. Anything with fruit and chocolate can't be bad. This sounds great. I have to look into getting one. It would be wonderful to have for the hot summers we have here in Florida. I have never heard of this product before, but it looks like something I would enjoy! I am a big popsicle fan! Looks like fun and good. I've never heard of this product. Outstanding idea! Absolutely! I also love making stuff from scratch and having control over the ingredients, and the Zoku not only looks great for making healthier yummy treats, but looks great fun too! I do own a Zoku Quick Pop Maker and I think it is fantastic, just like this lens. Great job. What a sure fire quick way to make party treats, even impromptu. Thanks for displaying so many creative pops. This has been on my "to buy" list for awhile now. 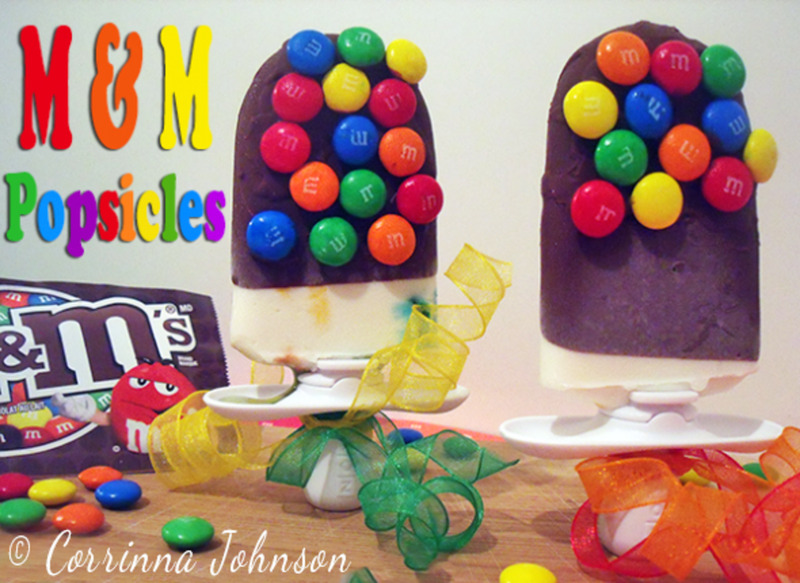 Loved the popsicle ideas! I do things a little differently with my son, too, and I think he'd get a kick out of a popscicle for breakfast! My grandson would love this. I will be sure to show him this page. Thanks. The chocolate peppermint patty popsicle looks so good! 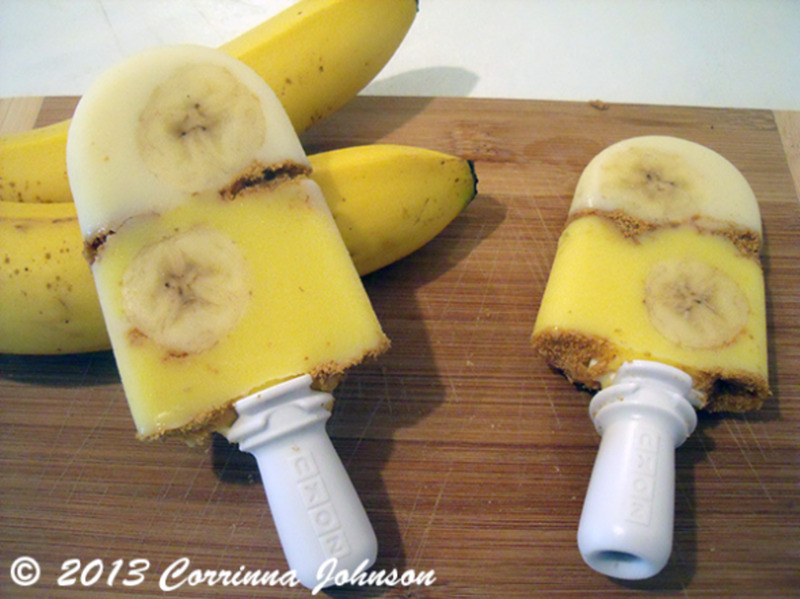 I think I need a Zoku Quick Pop Maker just so I can have those on a regular basis.